In Lansdowne, the name of Mary Lou Jennings is synonymous with trees, specifically the Borough of Lansdowne’s Shade Tree Commission. For over 2 decades Mary Lou Jennings has sat at the helm of this very important Borough organization. The Shade Tree Commission is tasked with the monitoring, maintenance and growth of the Borough’s trees. The Commission recognizes that properly planted, maintained and protected shade trees add to the value, esthetics, health and welfare of the Borough and its citizens. The Shade Tree Commission works very closely with the Borough’s Parks and Recreation Committee in overseeing the Borough’s green spaces. In addition to providing free trees to homeowners, the commission monitors and prunes the trees along the Borough sidewalks and in its parks. Twice a year, in the Spring and the Fall, the Borough receives between 15 to 30 trees that are donations from the Pennsylvania Horticultural Society and the U.S. Forestry’s, Plant 1 Million Trees Revitalization Program. The free trees are given to property owners on a first come first serve basis. The only request is that the trees be planted in the front of the home so when it matures it will provide shade for the home and the sidewalk. Trees help purify the air, reduce pollution, save energy, beautify neighborhoods and increase property values. 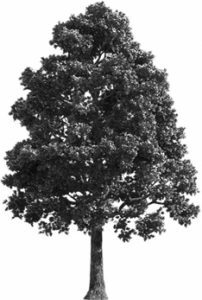 The trees come in a wide variety of deciduous types and grow between 6 to 9 feet in height. The tree is given when it is a sapling and normally will be 4 to 5 feet in height. It comes packaged with a stake for support, a description of the tree and instructions on its planting, watering and care. If needed, help can be provided to plant the tree. Trees provide a multitude of benefits to the homeowner and the neighborhood at large. They purify the air, reduce pollutions, provide wildlife habitats, save energy costs, cool homes, beautify neighborhoods and increase property values. Mary Lou estimates that within the last 25 years the Shade Tree Commission has given close to 500 trees to homeowners. The Shade Tree Commission meets every 2nd Wednesday of the month at 7:15pm in Borough Hall and the public is welcomed. If you are interested in receiving a free tree to plant on your property, you can contact Mary Lou Jennings at 610-622-0162.